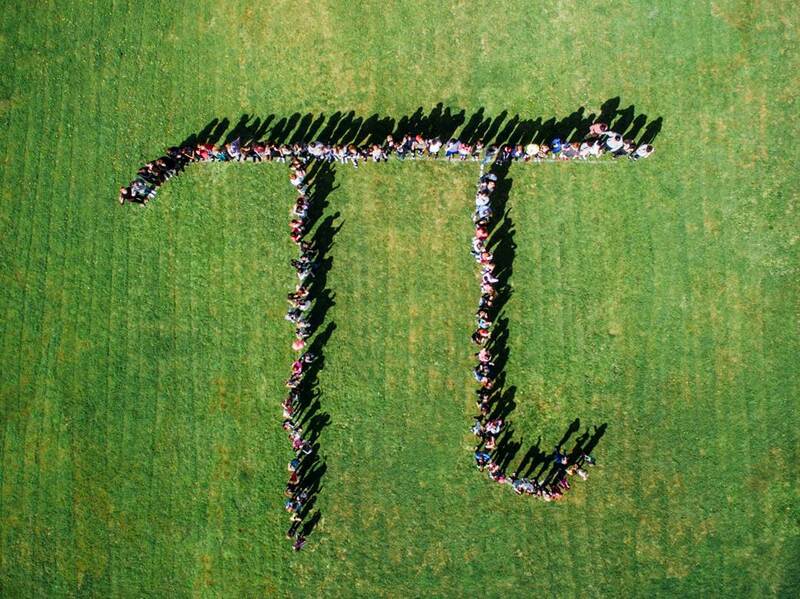 Students of Delphi Academy of Los Angeles participate in group formation of pi to promote math and science. 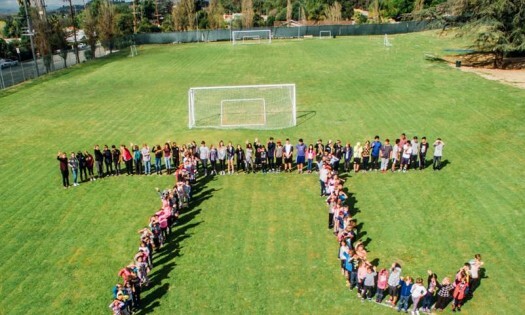 Lake View Terrace, CA – March 14, 2016 – Delphi Academy of Los Angeles, a private, independent, pre-K through 12 school, teamed up with HoverCameras, a leading-edge, aerial media company, to celebrate Pi Day by photographing a student pi formation from an aerial drone. 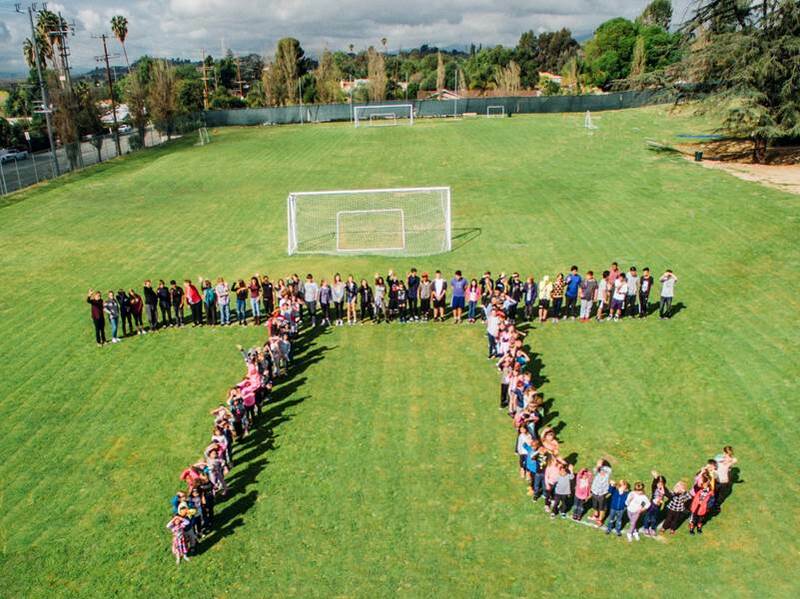 On Monday, March 14, 2016 at 10 AM, over 100 students joined the event to mark the day representing the most famous, never-ending, non-repeating, mathematical constant, π (pi). Pi, which is approximated to 3.14, is celebrated yearly on March 14, known as Pi Day, by educators and math enthusiasts to promote math and science to students and the general public. 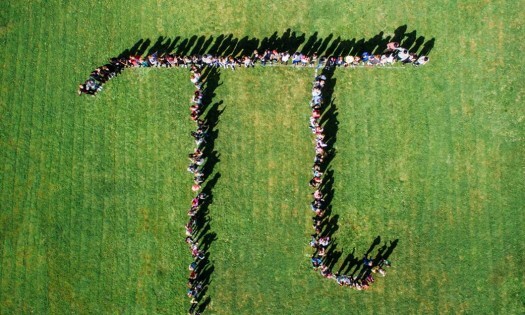 The student body assembled on the campus field to form the mathematical symbol pi. The formation was photographed by Delphi Academy graduate and HoverCameras drone operator, Jake Isham, who flew a drone up to 300 feet high to capture the view. Delphi Academy of Los Angeles is an independent, coeducational, non-sectarian day school offering a preschool through high school program. Academics focus on providing students with a solid grounding in the basics, a rich and challenging hands-on curriculum and the ability to study purposefully and independently. Children may enroll as early as eighteen months in the preschool program. To find out more, visit http://www.delphila.org. HoverCameras is an, FAA approved, aerial media company based in Hollywood, California. It was founded by Robert Hogg, a robotics engineer and photographer, to push the envelope in accessible aerial film. To find out more, visit http://www.hovercameras.com.